If you don’t always have time for the gym, you might be wondering HOW you can fit it into your busy life. Maybe, you bought that membership to the 24-hour health club, but you’ve yet to show up and do any actual work. It’s OK – a lot of us share your gym shame, too. Why not take out the first hard step: Showing Up and find a way to exercise from home? 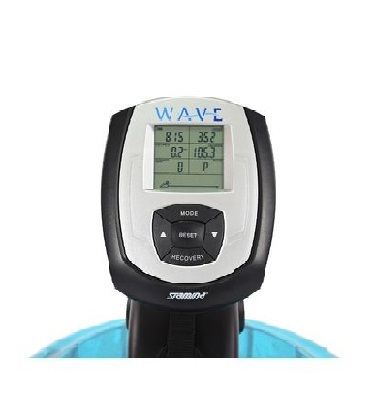 That’s why we want to take an honest look at the Stamina Elite Wave Water Rowing Machine 1450 to see if this product might get you a gym workout, right from the comfort of your own home. Time is money. That's why you want to get what you're paying for when it comes to your workout routine. 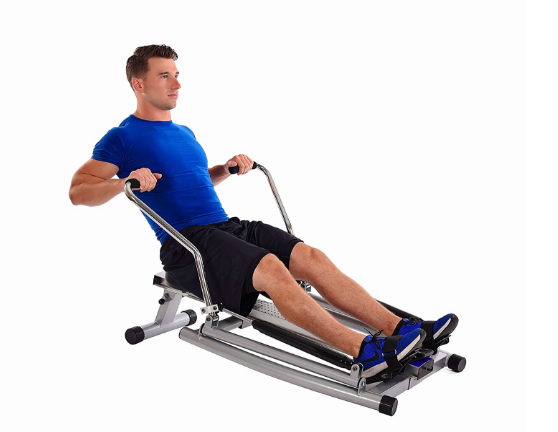 The Stamina Elite Wave Water Rowing Machine 1450 is worth taking a look. 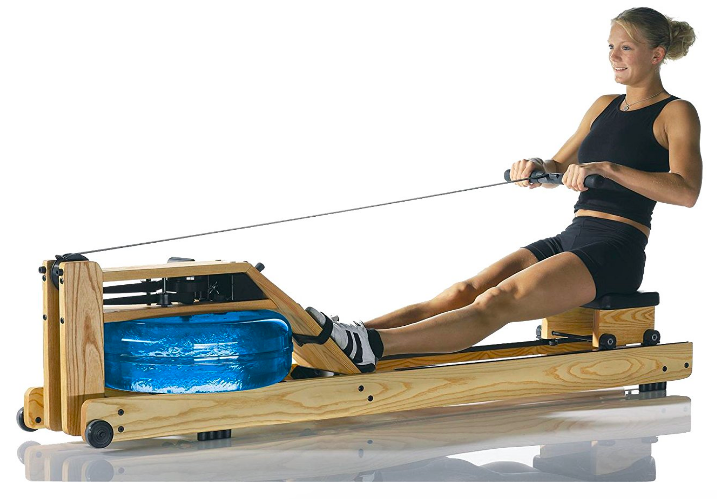 The Stamina Elite is a water-propelled unit giving you endless possibilities for resistance levels. It is easily foldable for storage and with new comfort upgrades in the seat and foot pedestals, it serves as motivation to return time after time. 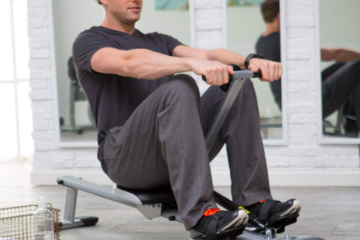 Most rowing machines are wind or elastic band propelled, which does make for a decent workout, but many prefer the water resistance because it feels and sounds just like you're rowing on the water: meaning more motivation and greater resistance levels. Also provided: a siphon for easy fill and removal. The most recent upgrade to this product is the high-end fitness monitor and chest-strap heart rate sensor that syncs wirelessly with that monitor. This feature is a crucial selling point as many rowing machines can't tout the same. It comes with a comfortable molded seats placed upon ball-bearing rollers for smooth gliding. Also, the textured rowing handles help prevent unwanted blisters and better grip. For storage, there are rolling wheels and a folding frame for quick transportation and easy storing. This item weighs in at 71lbs, which may seem cumbersome, but consider it does have wheels; you should rarely need to lift it up. It comes in sleek black color with a clear blue water tank, and silver aluminum colored seat bar. The material is primarily steel, with a nylon rowing strap, and a padded seat. The weight limit is 300lbs, and there is some assembly required of you, but most customers claim it's pretty simple. If you are looking for full body strength and cardio, this is the ticket. This machine is for anyone that loves rowing, has considered rowing, or wants something that will provide cardio and a whole-body workout. 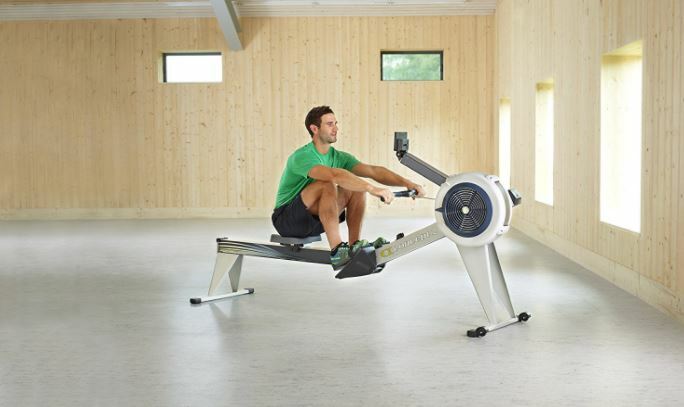 This product is not your entry level rower though. It comes with many more features than your typical bottom of the line rower provides such as the water resistance and heart rate monitor. If you have never used a rowing machine before, you’ll want to be sure you look up how to properly do so. It’s not difficult to do, but just like using any other workout machine, correctly doing so will help prevent injury and ensure a more positive workout. Heart Rate Strap is a significant player in the case for the Stamina Elite 1450. Not all rowers come with this feature and if you're interested in getting a good workout, knowing your heart rate is vital for some people. Water Resistance is another added feature here. As stated before, not all rowers come with this feature. It provides mental motivation as you hear the sound of water and gives added benefits in resistance. Easy Storage - Whether you have a room full of workout gear or you are looking for one tool to get the job done, less is more when it comes to the utilization of space. This product does just that. 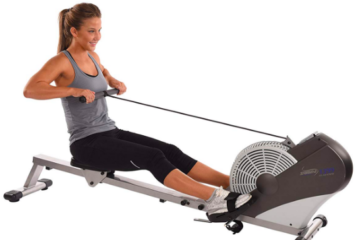 If you're not a rower or have never adequately learned how-to use a rowing machine, you'll want to consider learning proper technique. This is the one con, that's really user related. Stamina provides multiple 'how-to' videos for their products and once you get the hang of it, you're good to go. The water filling and re-filling can be a drag if you plan on doing so frequently. Otherwise, customers have rarely complained or alluded to the water being an issue. There are proper care guidelines for keeping your water tank cleaned. Keep in mind this product is a workout investment when considering the cost. If you are looking for a long-term relationship with your workout machine, you're going to need to put some cash down to see the benefits. The price range will run you in the $650-$750 range depending on where you purchase it. 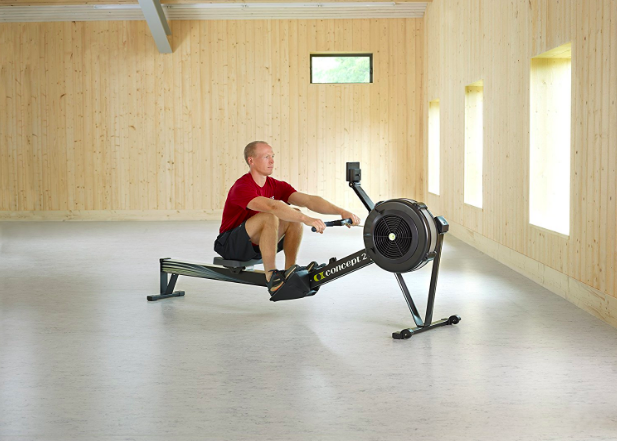 While this is not the most expensive rower, you are getting for what you pay. Remember, a gym membership can run you about $100 a month, so in 6-months it will hopefully pay for itself? If you are looking to invest in workout equipment that won't have you returning and continuously looking for quality, this is the product for you. If the monetary investment isn't convincing, the other thing to consider is the water resistance feature. Many people prefer having this for both its quality of workout and motivating factors. Finally, if you are an avid heart rate tracker or want to be, you might as well get one that coincides with the machine you'll be using most. A heart rate monitor is a top-selling feature in this market and worth the investment. Considering the options that are available when it comes to rowing machines this one is up there for us. It comes with all the bells and whistles you could want in a device, but you will be paying for it. A lot of times, many people end up buying a low-end model without the added features and either spend hundreds adding them to their existing model or return it and buy the next version. If you’re looking for additional motivation for your workout, you’ll need to invest something outside of yourself for it to be worth it. In this case, it may come from your wallet, but maybe it’s the investment you need to get into gear. 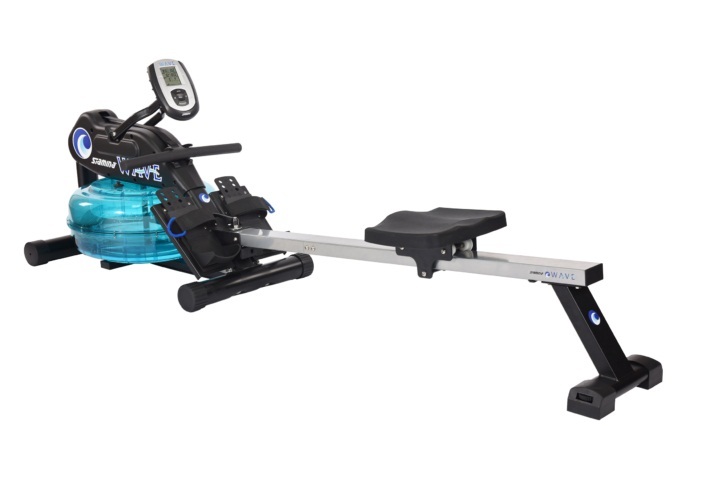 WaterRower GX Home Rowing Machine (Check Price on Amazon). It’s comparable in a lot of ways but has the features that make it a tremendous comparing tool. It is also easily stored, has water resistance, and can quickly fill and re-filled as well. It is an eco-friendly choice if you are concerned about the earth when purchasing larger items. It’s made from Ash wood and set with Danish oil. Not only is it eco-friendly, but its pleasing aesthetically. It doesn’t have that gym feel, but rather like a bookshelf. It doesn’t come with the heart rate monitor, and many consumers complain of the foot pedestals not being well-adjustable for their needs. Overall this will run you about $900-$1,000 at the end of the day.